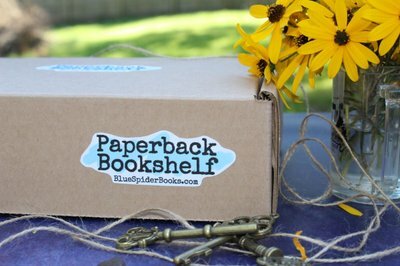 Enter your email address below to receive a notification when Blue Spider Books starts accepting new sign-ups! 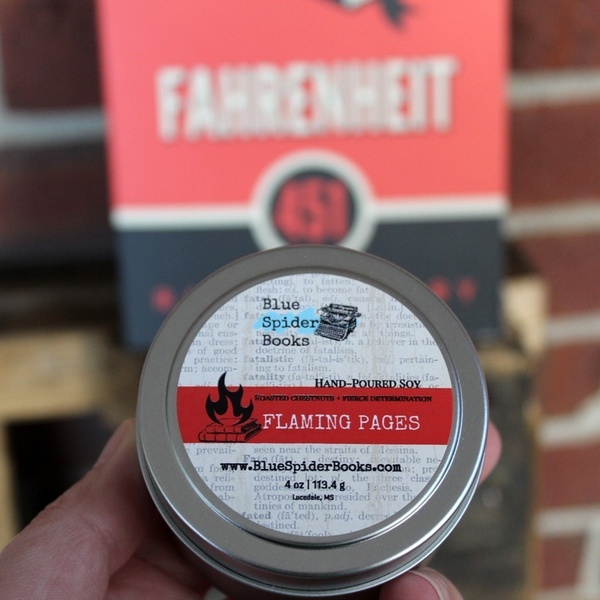 Enter your email address below to receive a notification when Blue Spider Books is accepting new sign-ups again. Use code MOMSDAY at checkout to get a special discount! 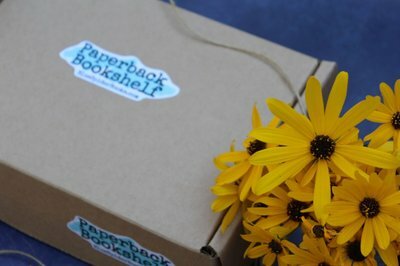 Paperback Bookshelf features a shelf-worthy paperback book each month. The perfect way to build your paperback book collection, each box features a new paperback, a handmade scented item, a snack, and beverage, and other possible goodies! 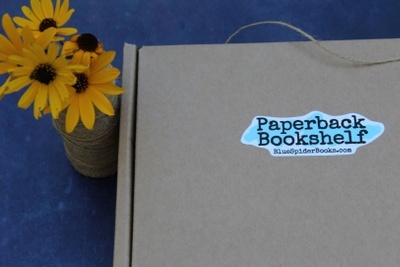 Gift a subscription to your favorite bookworm, and be sure to grab one for yourself, too. Happy reading! New copies of old favorites, or discover a new favorite! I love this Bookshelf subscription. 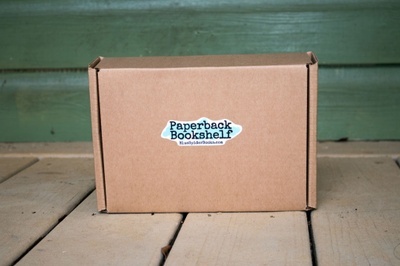 I have received a Bookshelf delivery each month and have enjoyed every one, I love this new paperback book subscription. I look forward to my surprise book every month! What is it this month? 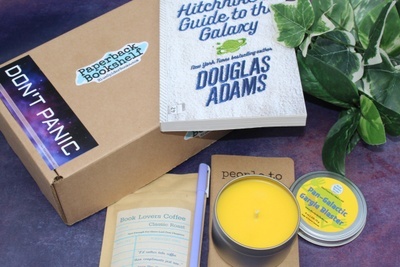 First hint is an apple coconut soy candle named "INCONCEIVABLE" There is always a little snack, this time Mr Goodbar, and either coffee, tea or cocoa. Cute book mark. Ahhhh the book is "The Princess Bride". I loved that movie. Princess Buttercup and Westley! I am making a cup of cocoa and curling up on the couch to read. Ooooh I missed this little pin! It says never go against a Sicilian when death is on the line! 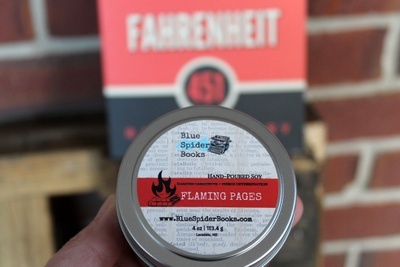 Princess Bride, Never-ending Story and Fahrenheit 451 are my favorites so far. Thank you for putting together these amazing boxes. Loved the book selection. Author was new to me (Haruki Murakmi). I’ll definitely be reading more of his work! Thank you! I do love to read, and was so excited about this used book subscription. I purchased a 3 month subscription. I received my first book and did not read the whole thing for the horrible language within it. I emailed them to see if it was possible to get a book without the language or inappropriate scenes and was told they could not do that. I gave them a second chance and was disappointed in the second book as well. I asked them to cancel my subscription since I was not happy with the book selections and they refunded me for the last month. I thought they would refund me the whole amount since I was not happy with either books, but that wasn’t the case. The only thing I did enjoy was the Simplicity Teas samples included. If you prefer cleaner book selections, I wouldn’t recommend this subscription. 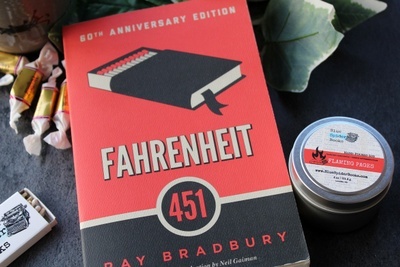 The featured book for February, 2019 was Ray Bradbury's iconic Fahrenheit 451. 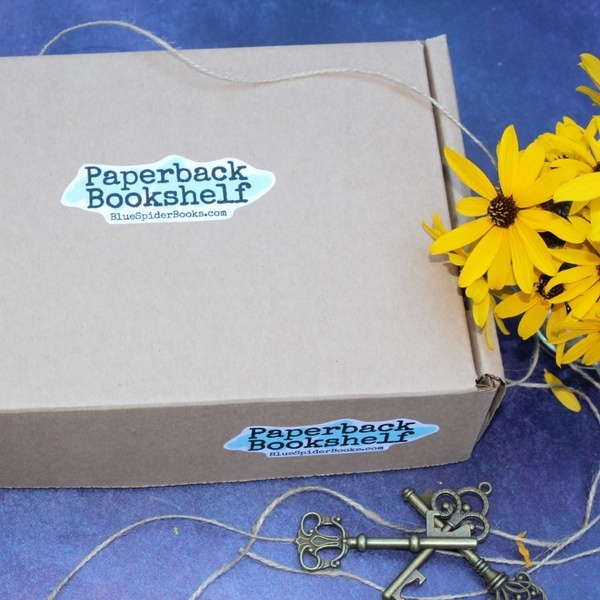 A definite must-have for any bookworm's shelves! Don't panic and don't forget your towel. 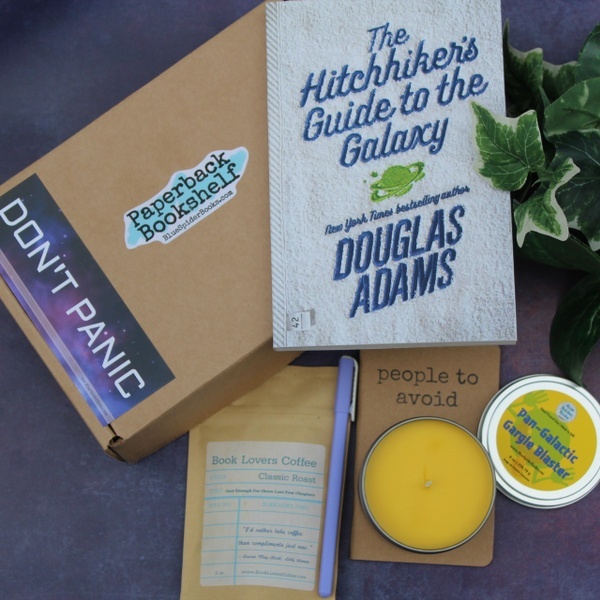 Douglas Adams' The Hitchhiker's Guide to the Galaxy is another must for the paperback collector. 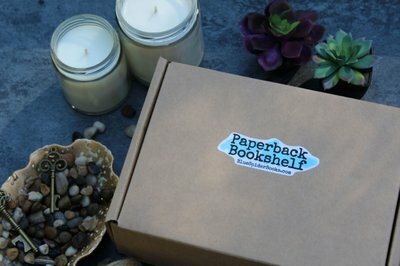 Each Paperback Bookshelf features a shelf-worthy paperback, a snack, a beverage, + a handcrafted scented item themed around the book.